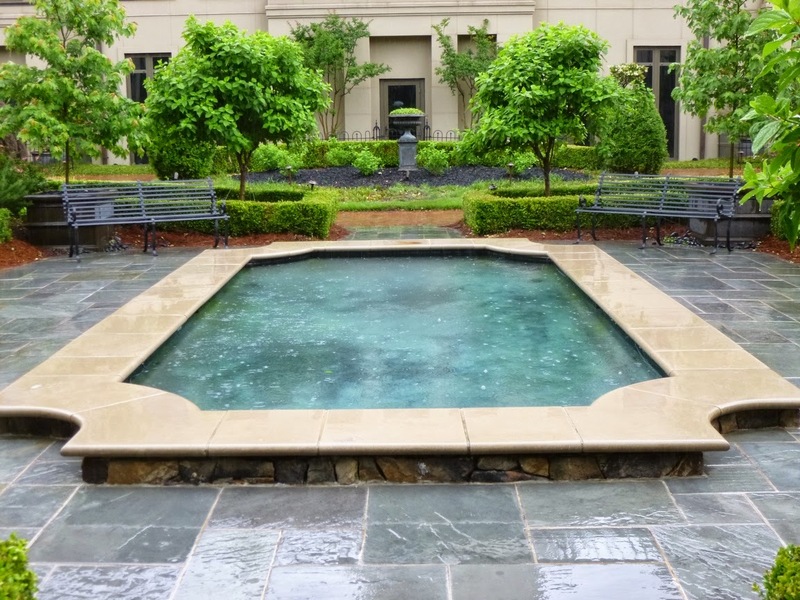 Beautiful formal pool in the middle of the English Garden at the Mandarin Oriental Atlanta. Love the flagstone hardscape surrounding the pool. Very chic. Despite being situated in the middle of Buckhead, one of the fanciest neighborhoods in the midst of urban Atlanta, where real estate values are probably stratospheric, the Mandarin Oriental Atlanta hotel has set aside a blissful bit of greenery - an English Garden where you can reboot and escape the stresses of the city. 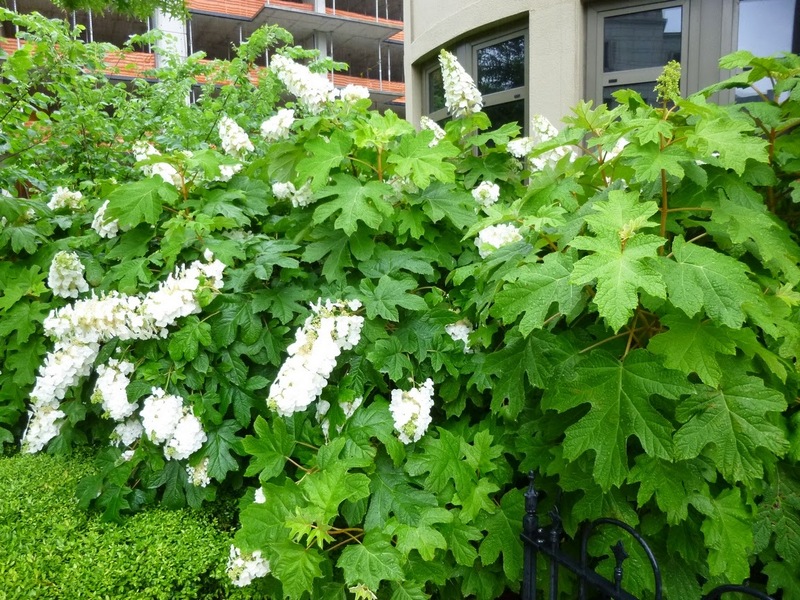 I saw some of the biggest, most beautiful Oakleaf Hydrangeas of my life in the Atlanta area -- and several of them were right in the Mandarin Oriental's garden. Check out those loooooooong flower panicles! 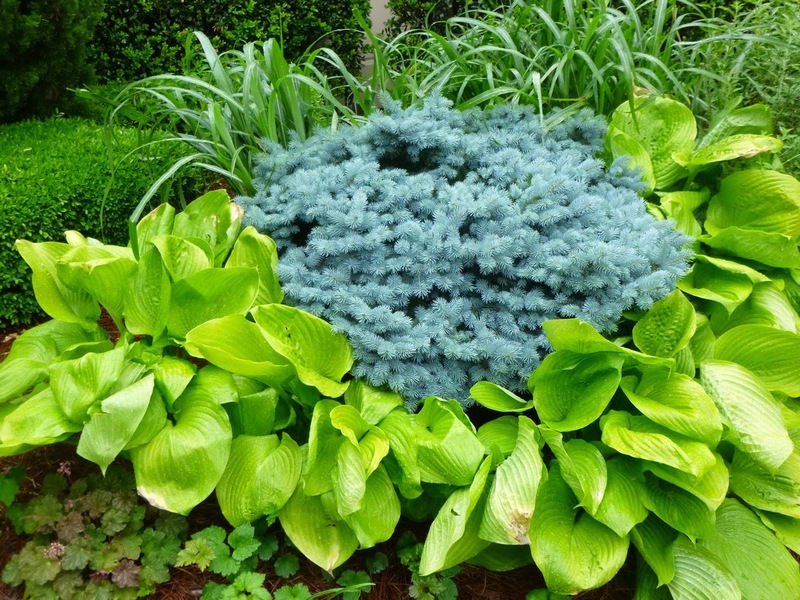 Here's a bold color combination - a metallic blue spruce surrounded by chartreuse hostas. Zowie! 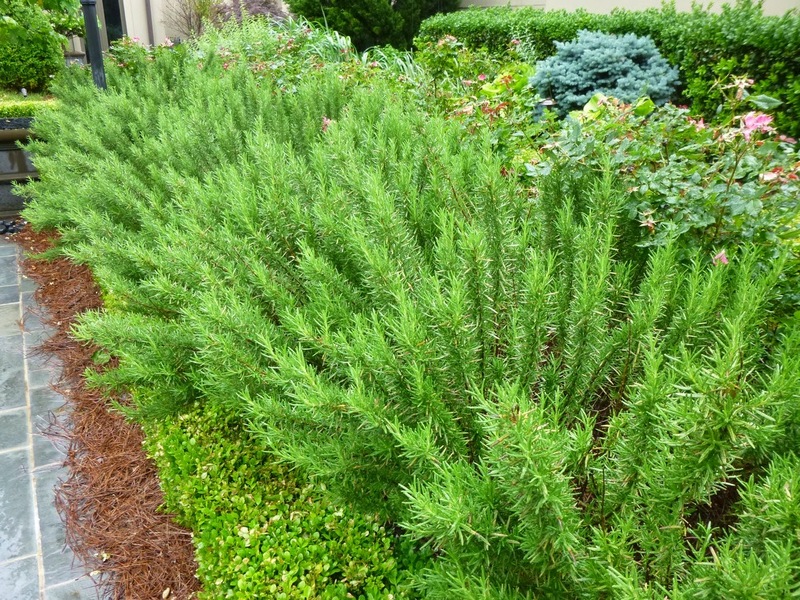 This Rosemary 'hedge' alongside the pool looked robust and healthy. 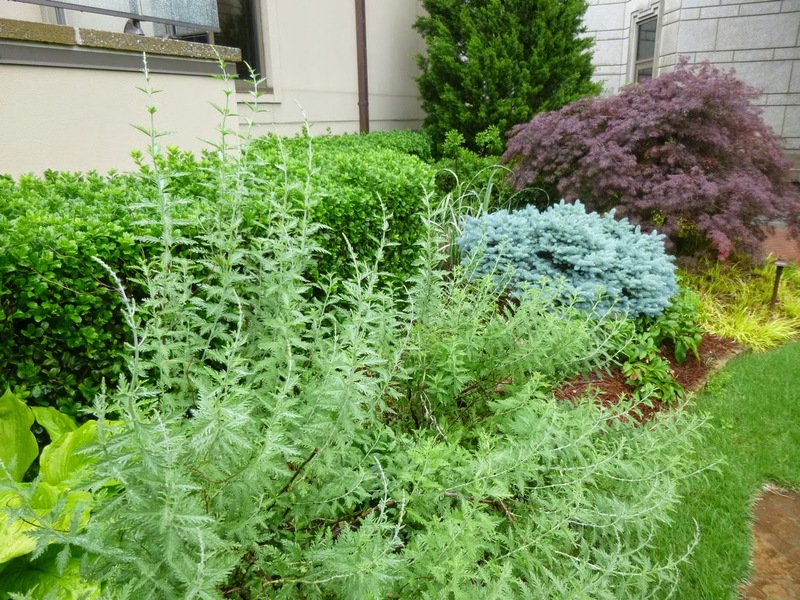 Last year, the Mandarin Oriental Atlanta apparently had an entire herb section its garden. After a redesign, that herb garden is gone, but the chefs are planning to grow a few of their more frequently used garnishes in the garden this summer. Of course, I didn't spend all my time in the garden. 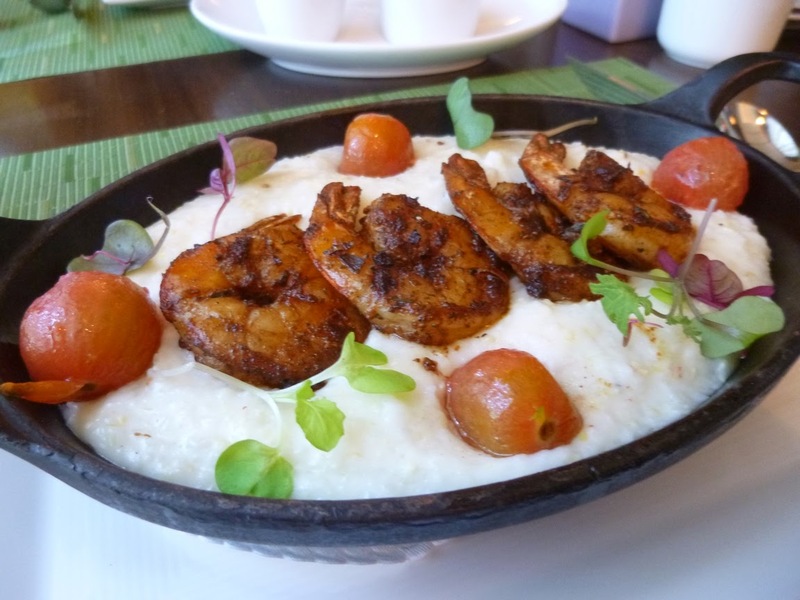 My wife and I had the chance to sample breakfast at the Mandarin Oriental's Cafe. 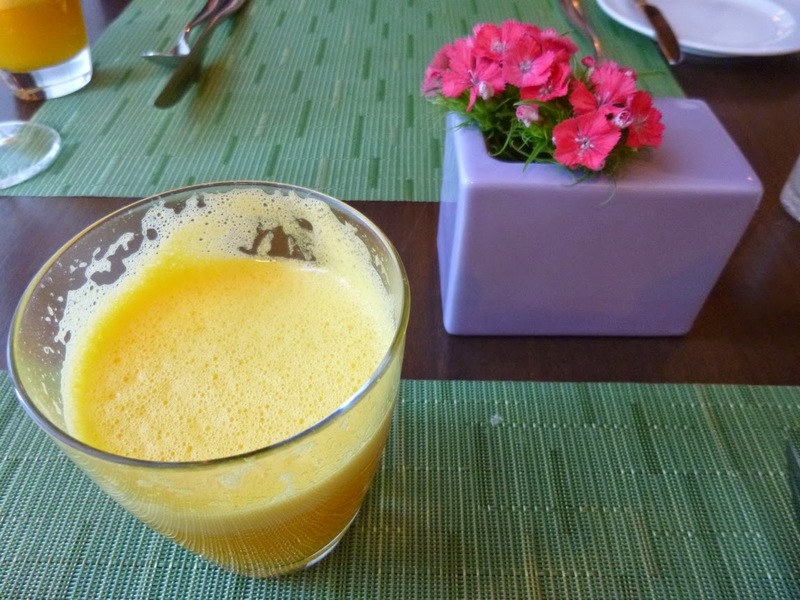 I love the fact that the Mandarin's restaurant emphasizes fresh, local and organic cuisine. 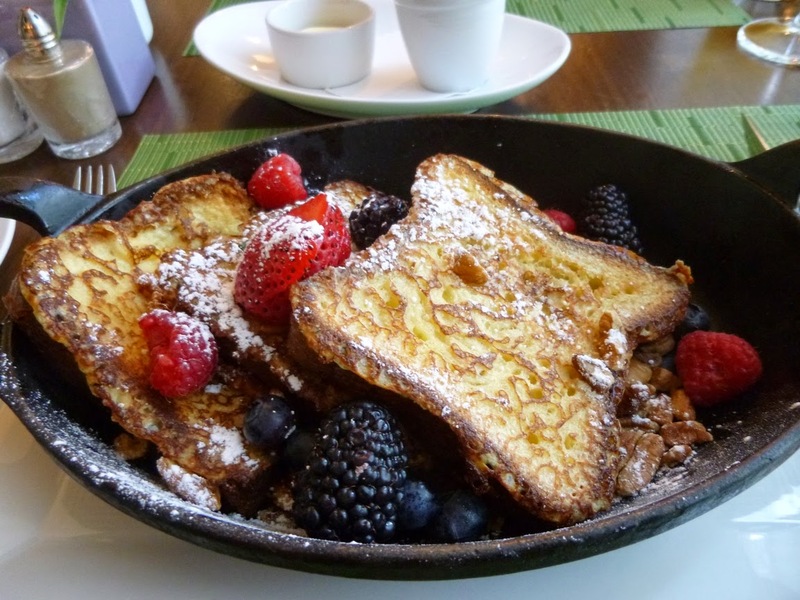 The berries used to top the skillet french toast apparently are local and/or organic. Oh and the restaurant uses organic eggs too. So yeah, there's a whole lots of tasty organic stuff going down. I should mention that you don't need to stay overnight at the Mandarin Oriental Atlanta to visit the garden. If you're having breakfast, lunch or dinner at the Cafe, feel free to spend some time in the garden before or after. Here's a word to the wise -- if you do want to listen to jazz in the lounge, make sure to request reservations. It's a hot ticket and most seats were sold out early in the evening, although the room does clear out somewhat as the evening wears on if you want to stop by later on. There's one other way to experience the Mandarin Oriental Atlanta's garden. 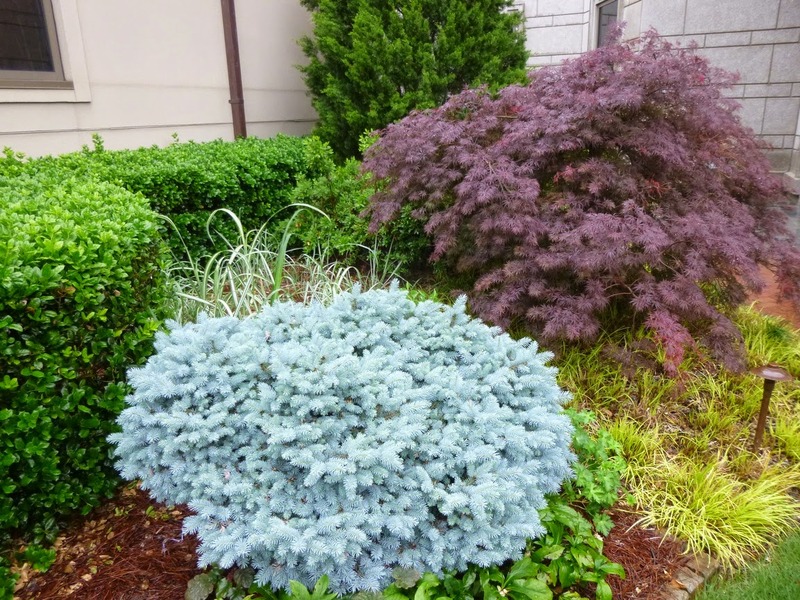 The hotel will be throwing a summer garden party that is tentatively scheduled for July 3rd. There's no entry fee for this shindig, so if you're in the neighborhood, feel free to enjoy the ambiance, some live music and some creative libations prepared by a "guest mixologist" at the cash bar.